Rainbow Trust were thrilled to be offered 23 cases of Martorelli Lab’s organic craft beer by Francesca Martorelli, Creative Director and CEO of Above Brand and Martorelli Lab. We decided to put these to the best use possible and asked Above Brand to deliver them to one of our corporate partners, Kennedys Law to support them with their fundraising. 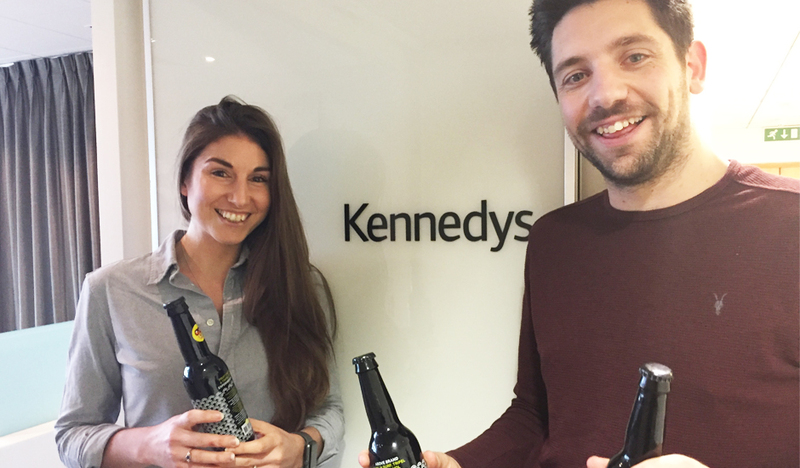 An intrepid team of runners from Kennedys Law will be taking part in the Virgin Money London Marathon in April, on behalf of Rainbow Trust, and had the idea of using the 600 beers to fundraise toward their sponsorship target. Thank you so much to Francesca for her generosity and for supporting Rainbow Trust. By using the beers for fundraising, we will be generating vital funds which go directly towards allowing us to continue supporting families with a seriously ill child.